Extreme Ice Center offers a wide variety of hockey programs from the beginner level to competitive travel hockey. If you are not sure where you fall on this spectrum, give us a call. We would be happy to help you get on the ice today! 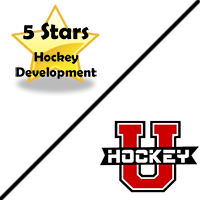 We offer two great programs for the beginner hockey player – 5 Star (ages 3-7) and Hockey-U ages (7 and up). Please note that players must complete Skating School through Snowplow Sam 3 or Basic Skills 3 before enrolling in one of our hockey programs. We have a group of private skating instructors that specialize in hockey and power skating. 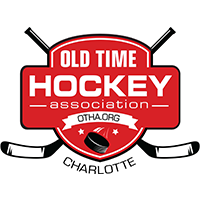 Please click the link above to be taken to our private hockey page. Our rules and a list of our instructors can be found here. 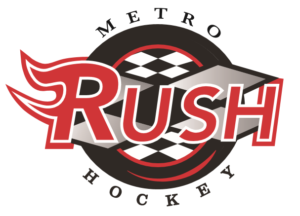 Metro League is comprised of in-house hockey teams from Mini-Mites (8U) through 18U. Each division has a weekly practice night and a game night. 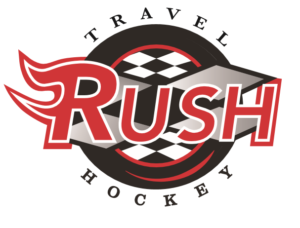 Charlotte Rush Travel Hockey is the Tier II AA /A Travel Hockey Team fielding teams from 10U to 18U. 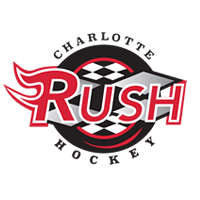 The Charlotte Rush is a Junior Hockey organization playing in the United States Premier Hockey League. 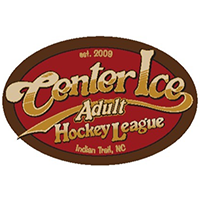 Proudly sponsored by the Center Ice Tavern, Adult League offers a fun and competitive environment for B-League and C-League players, as well as a Developmental League. 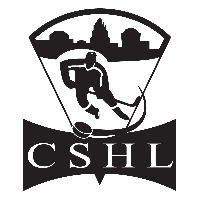 High School Hockey is for males and females who are eligible to play high school sports in the spring of 2019. All players MUST be enrolled in high school or home-schooled at a high school level and meet the age requirements for high school.